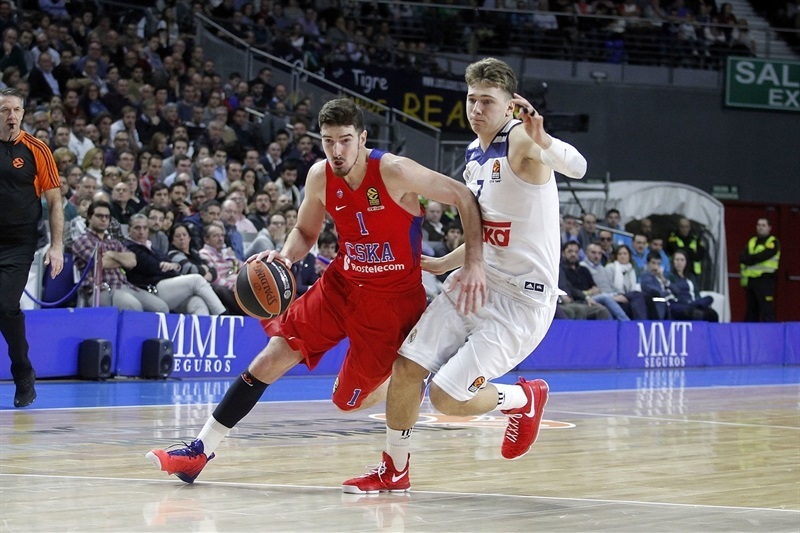 Madrid stops CSKA 98-85 to tighten race for first! 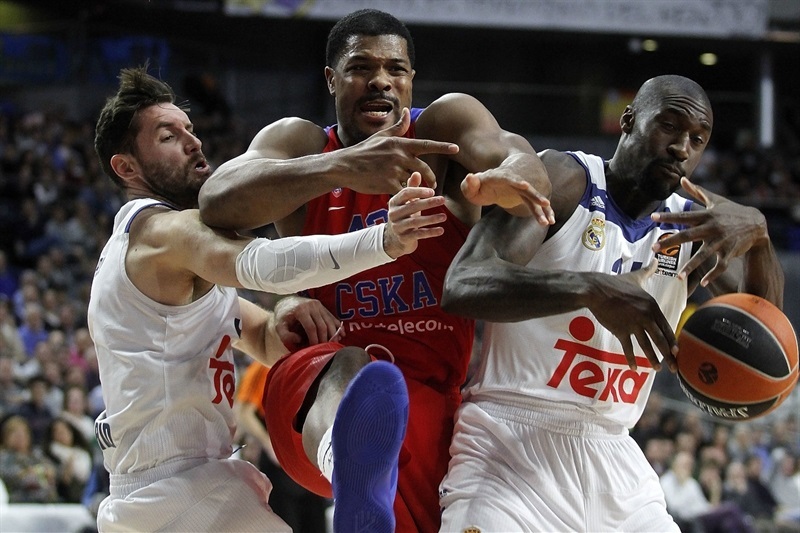 In a thrilling finale to Round 16 between the last two champions, Real Madrid pulled away late to beat CSKA Moscow 95-85 and reignite the battle for first place to start 2017 and the second half of the regular season. 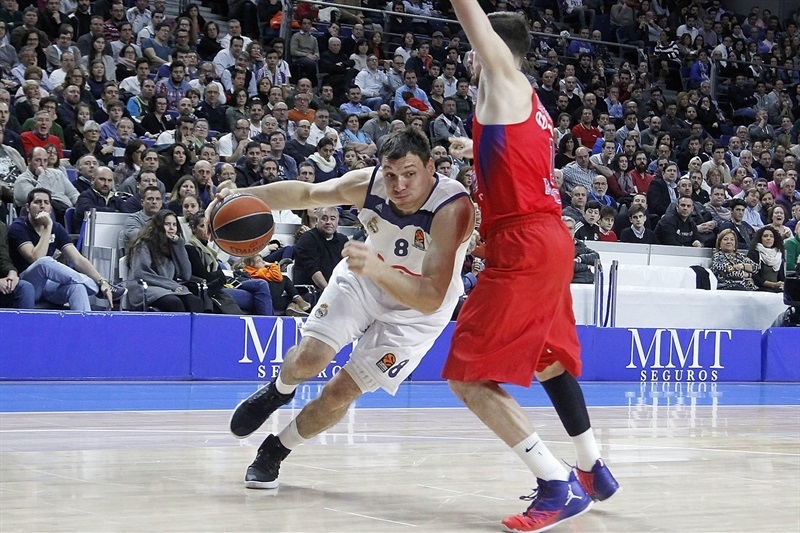 Madrid raised its record to 11-5, the same as Olympiacos Piraeus and Baskonia Vitoria Gasteiz, while CSKA fell to 12-4 with its first three-game losing streak in six years. 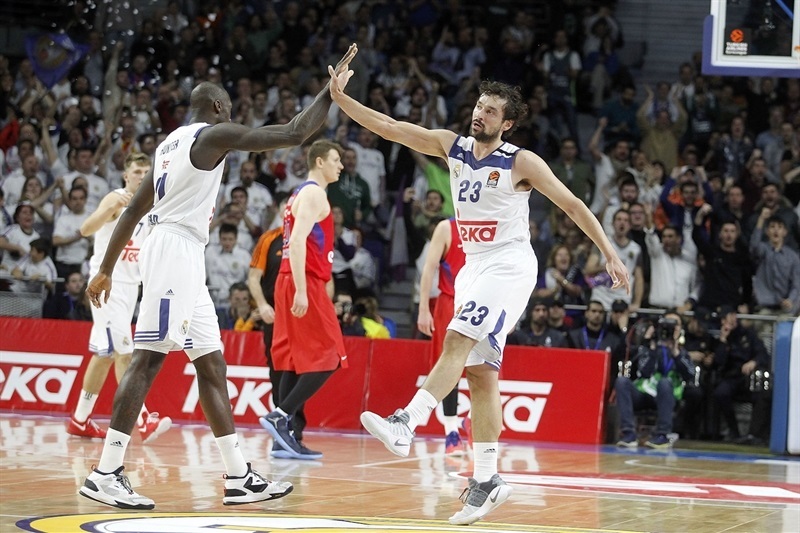 Sergio Llull led the winners with 24 points, including some truly spectacular three-pointers, and 6 assists. Jonas Maciulis matched Llull's 4 triples and finished with 20 points, while Gustavo Ayon and Anthony Randolph added 14 points each. Nando De Colo led CSKA with 18 points and Milos Teodosic added 13 to go with 5 assiss, but no other visiting player scored in double digits, and more importantly, none had more than 5 rebounds. 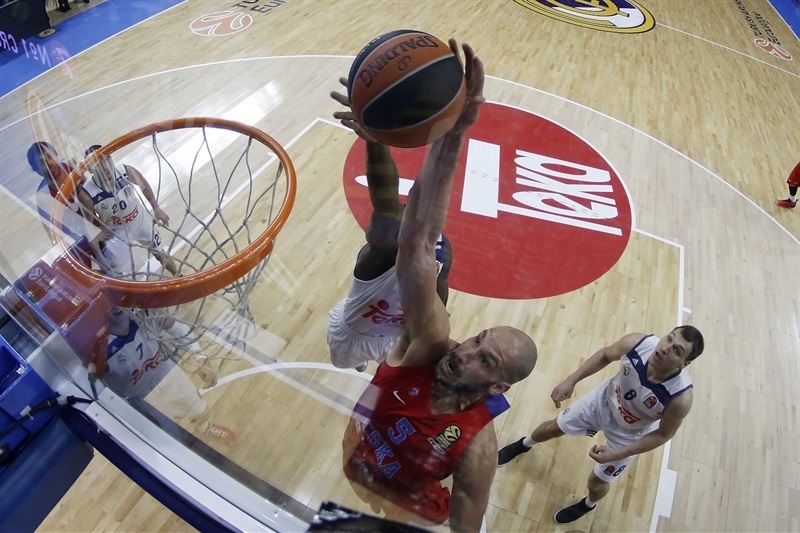 Randolph, with 6 of his 9 rebounds on offense, led Madrid to a 34-20 overall advantage on the boards, while the hosts also had balances of 25 to 14 in assists, 12 to 6 in three-pointers and 10 to 3 in steals. 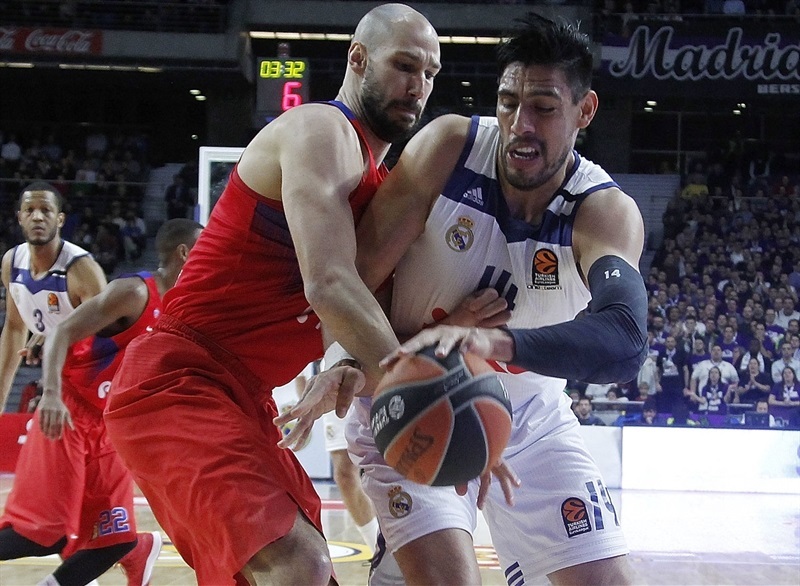 Spectacular passing and great shots left Madrid up 50-46 at halftime, but the scoreboard seesawed throughout the second half and was 87-85 with 3 minutes left, when Llull scored 3 points on a layup-plus-free throw combination and Madrid's defense shut out CSKA the rest of the way. Victory Khryapa's friendly roll opened the scoring but Ayon's drop shot and steal that sent Llull on a fastbreak quickly put Madrid up 8-2. 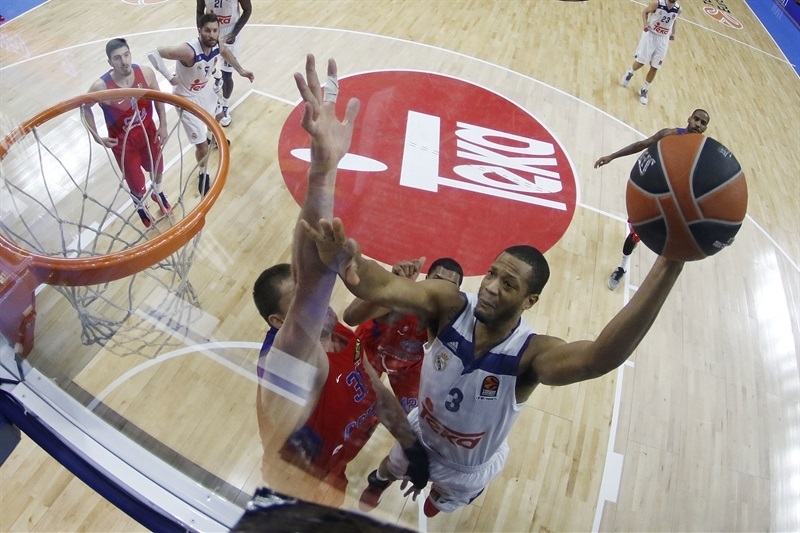 Teodosic and Corey Higgins joined CSKA's scoring, while Kyle Hines slammed emphatically. Felipe Reyes fed Ayon nicely but Higgins scored and fed Hines for another dunk at 14-12. A put-back by Reyes and free throws by Ayon kept Madrid ahead 18-12. Teodosic fed James Augustine with a sublime pass before Llull hit his first impossible shot, a turnaround three from the corner. Teodosic had a no-look layup and started a beautiful play that Augustine finished at 22-18. Dimitry Kulagin scored in close before Higgins hit free throws and Khryapa scored a basket for CSKA to lead 23-24 after 10 minutes. 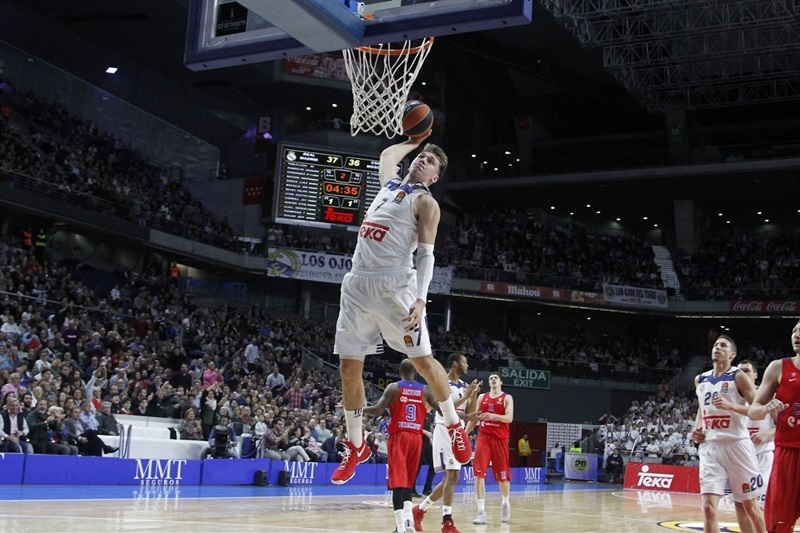 Luka Doncic arrived with a triple to open the second quarter and Randolph dunked in close. De Colo heated up with 2 baskets around another triple from Maciulis to make it 30-30. Augustine's pair of inside buckets were answered by Maciulis from downtown and Randolph from closer at 35-34. De Colo and Ayon each flipped the scoreboard on layups before Maciulis struck again from deep to make it 40-36. Hines dunked a rebound in a crowd and Khyrapa found Aaron Jackson cutting back-door to tie it again. Llull struck from way downtown to restore Madrid's lead assisted Ayon at 45-40. Maciulis hooked in an offensive rebound before Madrid set up Trey Thompkins for a corner triple as Madrid held on 50-46 at halftime. 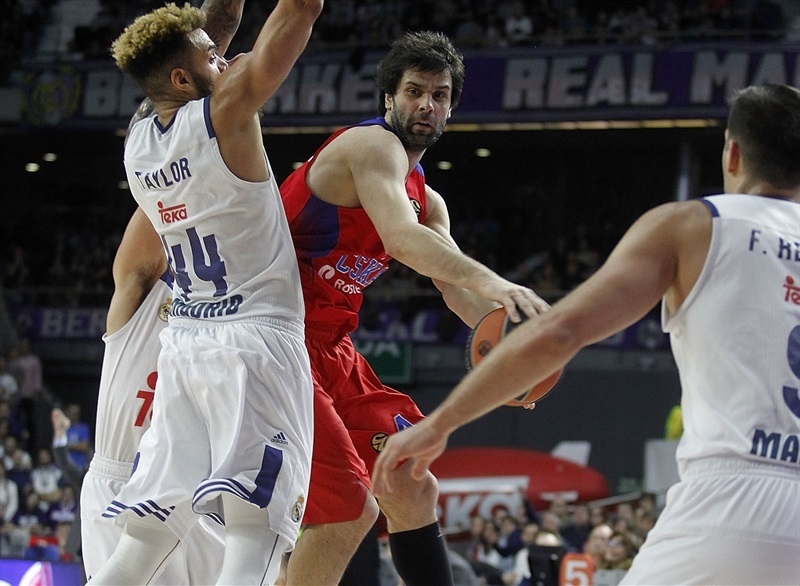 Teodosic closed the gap with a baseline jumper after a prolonged halftime, but Reyes and Ayon restored a 52-48 Madrid lead. Maciulis made another triple before Khryapa got CSKA's first of the night at 57-55. Teodosic dropped a hook shot to tie but Llull just went deeper for his next three-pointer. De Colo joined the long-range strikers for one tie and Hines evened the score yet again, but Llull beat the shot clock from near half court as his three-pointers seemed to keep getting longer as the game went on. Teodosic and Higgins both hit free throws, though, as CSKA went up 65-66, but only until Randolph put back his own miss. The scoreboard continued to see-saw as De Colo and Doncic made foul shots, then Othello Hunter fed Randolph for a dunk-plus-free throw combo that made it 72-68. Hunter added a bank shot, but De Colo had free throws to keep it close, 74-70, after 30 minutes. Randolph's runner opened the fourth quarter, but De Colo answered from long range to make it 76-73. Maciulis and Teodosic buried duelling three-pointers, then Hunter scored inside, rebounded his missed free throw and passed to Doncic, who buried a triple, too, at 84-76. A technical free throw by Jackson fell for CSKA before Teodosic fed Andrey Vorontsevich for a triple. Nikita Kurbanov drove strong for 2 points, and after Randolph stuck a second-chance triple, hit his own from the corner to cut the difference to 87-85. Llull got 3 points the hard way for a change, making it 90-85 with 3 minutes left. 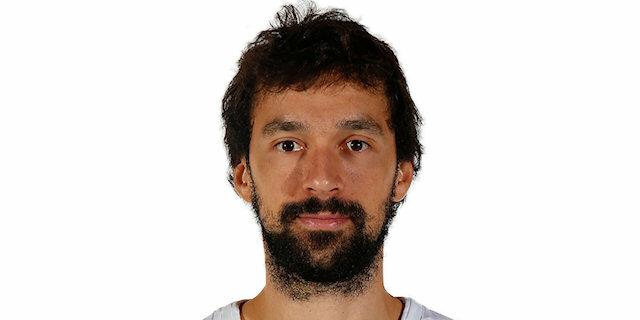 Doncic added a free throw a minute later, and a minute after that Llull sentenced it with a soaring two-pointer plus 2 free throws to give CSKA its first three-game losing streak since 2010. "Today, I think the team has been magnificent. I congratulate the guys for the victory. I think it was a game in which they worked hard in every respect to beat the champions of Europe. We knew that to win we'd have to do a lot of things well. I believe that in both halves, we went from less to more, especially on defense. But there are aspects of the game that speak well about our team, like rebounds, the ratio of assists to turnovers, and those have probably been key to getting the victory." "I think it was a very complete game for us from the beginning. We played with a lot of power. We were able to contest almost everything, but it was a battle between two great teams. We knew it was going to be difficult until the end, and probably our defensive effort in the last minutes was decisive to win the game. It's easy to say they can beat you inside, but they didn't hit a three-pointer in the first half. We defended well the three-point line, and it's very difficult to cover everything. In the second half, we did a better job defending their rollers, and their two-point percentage came down, but they hit some threes. So at the end when you play against a team like CSKA, you know it's almost impossible to stop everything, but we were able to compete defensively against great players and in the end we got an important victory for us." "Obviously, congratulations to Real. They wanted it more. We've seen and the fans had the opportunity to see a good fight, a good basketball fight, on the court. With different pictures in all four quarters. Definitely it was a clutch moment with 3 minutes 46 seconds left, at 85-83. We did not defend well, we lost our concentration, had three consecutive turnovers and they made big plays. I think overall the final difference is not exactly the picture of the game. But the numbers are not good for us and also the picture saying that we are minus-13 in turnovers and giving 16 offensive to them under our basket shows that they had a big desire to win that game. We fought, we came back, we tied the game. We've seen a lot of buzzers tonight. You know, sometimes the luck is also to the side of the ones that want it more and are more decisive. As I said, we gave a fight, but unfortunately the outcome was not for us. But it's another game in this slide. We're going to keep working, learning and try to bounce back. Obviously, these three losses consecutively for us is the moment that we need to stay all together, and we will. It's probably easier when you start 6-0, lead the league and everyone is clapping your back saying you're the best, you're the best. Now, we count friends and people who are going to believe, strong believers in what we're doing, and we're going to come back. Once again, congratulations to Madrid and their fans." "We are happy. I think the team played a really good game. Everybody was ready to play. We fought a lot and we played against the reigning champions. We know that we had to win the game. We lost there by only one point, and we stay up in the standings, so we are happy." "With the help of the fans, to win against the current champions of Europe was very important for us and we just want to keep going. It's not an easy team. 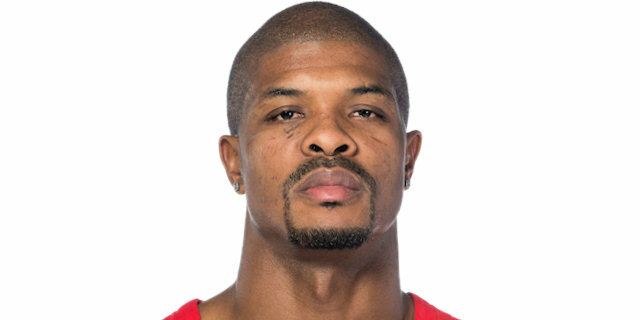 CSKA has an incredible team, I think the best roster in Europe, they play basketball well. It has been a tough game but in the end we were able to open a small difference in the score and hold it until the end. Our sixth man, the fans, were incredible. It was sold out and when the arena is like that, everything is easier on us." "Right now we're in a difficult position, losing three consecutive games in EuroLeague, which hasn't really happened here for a long time. It's on us to use this as a turning point, for us as a team to stay together and not split apart, and continue to play. We still have a long season, many more games left to play, many more big games. We just need to continue to learn from our mistakes, to stay together as a team, to come back the next game and play better, fight even harder."